Publications page - Eucalypts - Bendigo Field Naturalists Club Inc. 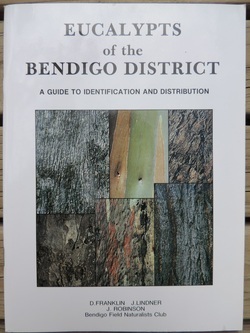 Compiled by D. Franklin, J. Lindner, and J. Robinson (1991) the Eucalypts of the Bendigo District contains notes on identification for all known species in the area. 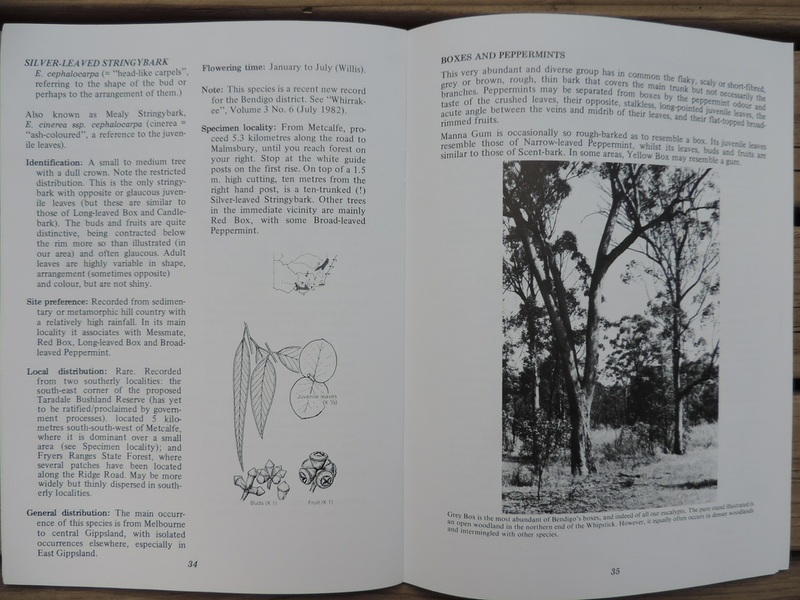 Accompanying illustrations and maps are from L. F. Costermans' book 'Native Trees and Shrubs of South-Eastern Australia' (1981). The introduction includes notes about the history, geology and climate of the Bendigo region of Central Victoria. Local natural history information is given for each species. 56 pages.